It's not often I look forward to a big London show by a turner prize winning artist but there is a show in October I am excited about already. 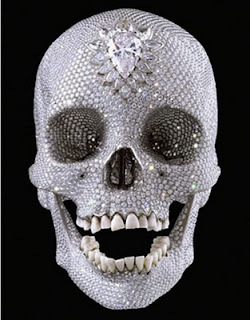 Generally the works of big name contemporary artists Emin, Lucas, Hirst et al don't do much for me. 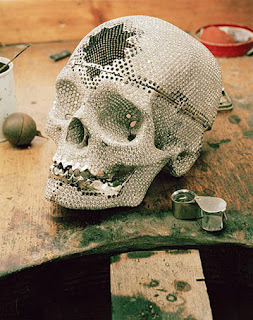 Though I admired the craftsmanship of Hirst's diamond scull it was the work done by unknown craftsmen in Birmingham's Jewelry quarter that impressed. So who is this artist and what's the show? Tomb of the Unknown Craftsman by Grayson Perry is at the British Museum in October and will feature items from the collections there made by unknown craftspeople from centuries past. "Grayson Perry curates an installation of his new works alongside objects by unknown craftsmen throughout history from the British Museum’s collection. He will explore a range of themes connected with notions of craftsmanship and sacred journeys – from shamanism, magic and holy relics to motorbikes, identity and contemporary culture." It could be crass if done by another artist but Perry really does have a good understanding of and respect for traditional craftsmanship. This is one of my favourite articles of his on the subject written in 2005. Perry's blog (or should I say the blog of Alan Measles, Grayson's teddy bear/god figure) is always an entertaining read, sometimes controversial, often thought provoking. He has started dropping hints about what will be in the exhibition and my guess is that it is going to be good. "If we were to select a hundred examples of the most beautiful craft out of the past and present, 99%, no possibly 100%, would be unsigned." 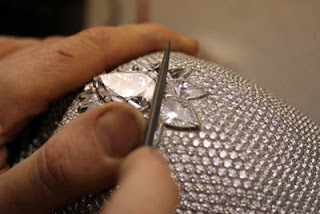 Many of the craftspeople that I admire the most are the unknown tradespeople, the folk that made Hirst's scull, the folk that made the lace for the royal wedding dress, the skilled artisans at Wedgewood and Crown Derby. 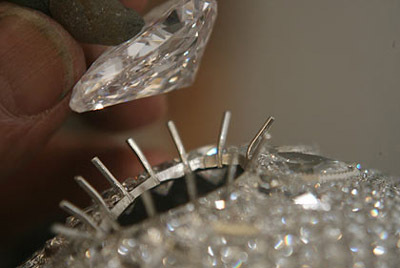 These folk just get on with the job of making things well, quickly efficiently with skill. As Perry says this is "especially resonant in an age of the celebrity artist" or actually we are as Warholl suggested we would be, in the age of the celebrity full stop. We live in a time when fame comes from appearance on reality TV shows and anyone can have their 15 minutes of fame if they want it. Few people make anything or can explain to you in simple words what they actuallydo for a job these quiet anonymous craftspeople seem to offer so much more reality.